Poet William Yeats once wrote: “Education is not the filling of a pail, but the lighting of a fire.” For 143 years Toorak College has been achieving excellence and inspiring the lives of its students. Thousands of girls have graduated from the stunning Mornington Peninsula landmark with its iconic Hamilton Building and Cloisters. Toorak graduates share stories of how they emerged from their school years with a sense of honesty of themselves and belonging to a community that values them without question. These bonds of belonging connect them as Toorak Collegians for life. Two alumni of the school have done just that. When Sonya Fiddes (TC ‘07) was growing up she had no idea that Earth Science was a career option. Sonya liked science, so after graduating from Toorak College she completed a Bachelor of Science at the University of Melbourne. “It was when I was at uni that I realised atmospheric/climate science was actually something you could study, and was really interesting to me as it was an application of all the fundamental sciences you learn in physics, chemistry and maths.” She went on to complete a Masters in Science, majoring in Atmospheric Science, also at University of Melbourne. Sonya has worked at the university and Bureau of Meteorology researching climate extremes and using climate models to project Victoria’s stream flows out to 2100. She is now undertaking a PhD and is investigating whether the Great Barrier Reef has an impact on the local climate. Megan Goodwin (TC ’05) always had a passion for music and now works in the music therapy profession. “At Toorak I immersed myself in orchestra, concert band and jazz. I also enjoyed psychology, so being able to combine these two areas in the one career was perfect,” she says. With the support of her teachers, Megan was accepted into a Bachelor of Music at the Conservatorium of Music at Melbourne University. “I majored in percussion, as well as psychology, before specialising in music therapy.” After graduating, Megan worked as the paediatric and adolescent music therapist at Peter MacCallum Cancer Centre, where she remains today, in addition to developing and delivering therapy programs at The Bays Aged Care facility in Hastings. “After presenting on the use of music technology in paediatric radiation oncology at the Australian Music Therapy Association conference, I was asked to take on a position within the International Music & Medicine Foundation – a worldwide foundation and journal supporting the use of music as medicine,” she says. Megan’s involvement with the AMTA has seen the development of early education music therapy programs and aged care programs. She is also involved in the use of music therapy in children’s homes for paediatric brain cancer patients. 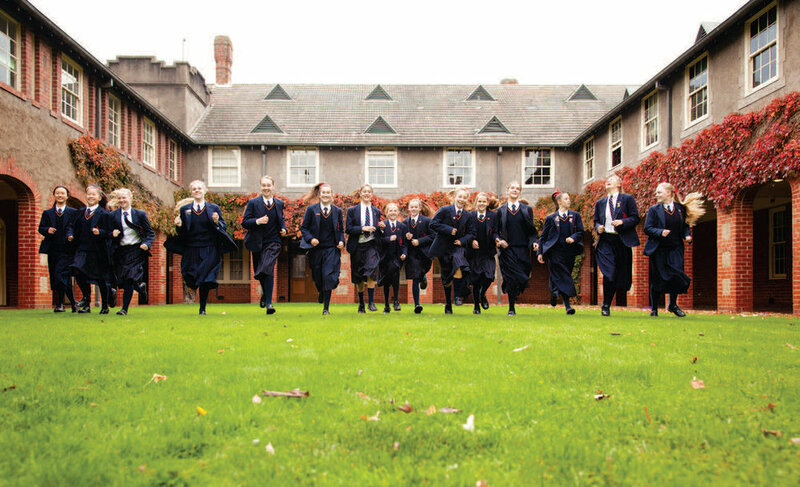 Toorak College has announced a range of scholarships for 2019 and is receiving applications from girls who want to chase their dreams. To learn more, go to www.toorakcollege.vic.edu.au/ join-toorak/scholarships.